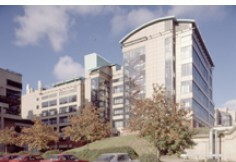 An agent from University of Leeds, will contact you shortly with more information. Entry requirements English language requirements: * IELTS 6.0 overall, with not less than 5.5 in listening and reading and not less than 5.0 in speaking and writing * TOEFL (computer-based test) 220 with not less than 4.0 on Essay Rating test Academic entry requirements: * First or Second class Honours degree or equivalent in Chemical Engineering, Chemistry, Materials Science or a related subject. The purpose of the programme of study is to meet the needs of the polymer and surface coatings industries for well-trained, enthusiastic employees having a breadth of practical and academic skills at an advanced level. Graduates will be able to plan experimentation and processes, be skilled in synthesis aspects, in characterisation aspects, in information technology and in communication. 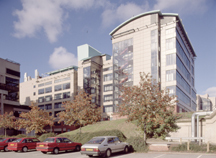 The Department is unique in Europe, and Leeds is one of only two universities offering degree programmes in this subject. Although it has now been established for over a century, the Department has not lost its original character and it remains relatively small, with excellent staff-student relations and a friendly atmosphere. The Departmental society is run by students, and arranges many social events, lectures and visits. The Department is recognized as one of the leading international colour chemistry research centres. Many research projects are supported by companies from outside the UK, including Japan, USA, Germany, Switzerland and France. This ensures that we have excellent modern analytical facilities and can offer students an applied chemistry programme that is very relevant to the modern industrial scene. Students study 6 compulsory taught modules (Advanced Colour Science, Advanced Polymer and Materials Science, Dispersion Science and Technology, Instrumental Analysis and Characterisation of Materials, Optical Properties of Coloured Materials, Formulation and Application of Inks and Coatings), plus a practical skills module and a research project. Teaching is by a combination of lectures, tutorials, practical exercises and essays, ensuring that practical and theoretical knowledge is firmly reinforced by laboratory exercises. Teaching is by a combination of lectures, tutorials, practical exercises and essays, ensuring that practical and theoretical knowledge is firmly reinforced by laboratory exercises. The Department of Colour and Polymer Chemistry is pleased to offer up to four awards of £3000 each to international students of high academic standard applying for their Taught MSc programmes. These awards are made on a competitive basis. Departmental Scholarships are available only to students who are liable to pay tuition fees at the “full cost” rate for international students and who do not hold another award which covers the payment of tuition fees in full.